Skin needling works to significantly improve the appearance of wrinkles, sun damage and other signs of aging skin, as well as acne scars and stretch marks. Now the process of reversing the skins of aging and imperfections has never been easier with the Dermaroller’s latest technology, known as eDermastamp Skin Needling. They have developed a stamping device that increases skin stimulation and takes standard skin needling to a new level. eDermastamp therapy provides advanced micro-medical skin needling, a procedure that stimulates the skin to regenerate and repair itself naturally; creating smoother, brighter, healthier and younger looking skin. 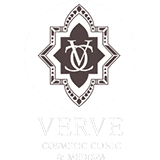 Skin needling is a procedure that is now offered at Verve Cosmetic Clinic. What Happens during the Skin Needling Procedure? The skin needling procedure involves using a small electronic device, which has a tip with six small needles. The micro needles enter the skin and this intrusion signals an injury response in the skin cells causing them to go into a healing response which causes cell proliferation. This has the effect of filling out wrinkles. It also causes scars to reform in a way that blends in with the surrounding area; and the epidermis is improved in thickness and transparency.This procedure takes around 30 minutes. Repeated eDermastamp sessions improve the overall skin texture and facial expression. For collagen and skin rejuvenation, four to six treatments may be recommended, with each session four weeks apart. For scars and acne scar reduction, more than six treatments may be recommended, with each of these treatment sessions taking place four weeks apart. Does the Skin Needling Procedure Hurt? This skin needling procedure is well tolerated by most patients. There is minimal discomfort, but some patients describe it as a slight scratching sensation.There is a topic anaesthetic that is applied to the skin, which numbs it and this can make sure patients are comfortable as possible during the procedure. Are there any Side Effects from the Skin Needling Procedure? Immediately after your eDermastamp treatment you will look as though you have modern sunburn and your skin may feel warm and tighter than usual. This will start to subside after one to two hours and will normally recover within the same day with only slight redness the following day. You will notice a fresher skin within six weeks. However, your skin will continue to improve over 6-12 months. Is there any Downtime Associated with the Skin Needling Procedure? This treatment, unlike most skin rejuvenation options that rely on thermal heat, results in minimal downtime. This means that you will not have to take a lot of time off work to recover. Most patients take around two days off work to let the redness of the skin fade. But, this will be your choice and no other daily activities should be affected by the skin needling procedure. It is advised that you wear a protective skin cream when you are out in the sun, as the new skin will be sensitive and you want to let it heal properly, without any new sun damage. Who are Suitable Candidates for the Skin Needling Procedure? The ideal candidate for skin needling is someone that has experienced aging effects on the skin or scarring that they would like to have corrected. This treatment encourages collagen to reverse these imperfections and regenerate the skin for a clearer and more youthful complexion. This treatment can be used on the face and neck, as well as certain parts of the body like the stomach and thighs. If you would like to find out more about the skin needling procedure and whether this is the best treatment for you, you can contact us today to arrange a consultation with Dr Alia Nasser. What is the difference between Dermaroller and eDermastamp? Dermaroller spent extensive time improving and perfecting this treatment in order to better the outcome for each individual. The most noticeable difference of eDermastamp from the Dermaroller is the delivery method. The new eDermastamp needles have a vertical delivery system. Unlike the Dermaroller that often resulted in dragging, tearing or scratching of the skins surface from the ‘rolling’ delivery, this new design eliminates any such possibilities. A further development from the first eDermastamp developed is the motor now being located separately from the hand piece, allowing a stronger motor to be installed. This has increased the perforations to more than triple the amount of the closest competitor (50 times per second) to an amazing 150 per second. In addition, the eDermastamp has introduced hydrating acid infusions to be used in conjunction with the treatment. This instantly topically hydrates the skin leaving you with a glowing complexion. eDermastamp therapy provides advanced micro-medical skin-needling, a procedure that stimulates the skin to regenerate and repair itself naturally. The micro needles enter the skin and this intrusion signals an injury response in the skin cells causing them to go into a healing response which causes cell proliferation. This has the effect of ‘filling out’ wrinkles. It also causes scars to ‘reform’ in a way that blends in with the surrounding area; and the epidermis is improved in thickness and transparency. Repeated eDermastamp sessions improve the overall skin texture and facial expression. For Collagen and Skin Rejuvenation- 4-6 treatments/4 weeks apart. How much does eDermastamp cost? A full face costs $400, with 3 treatment packages available for $900.